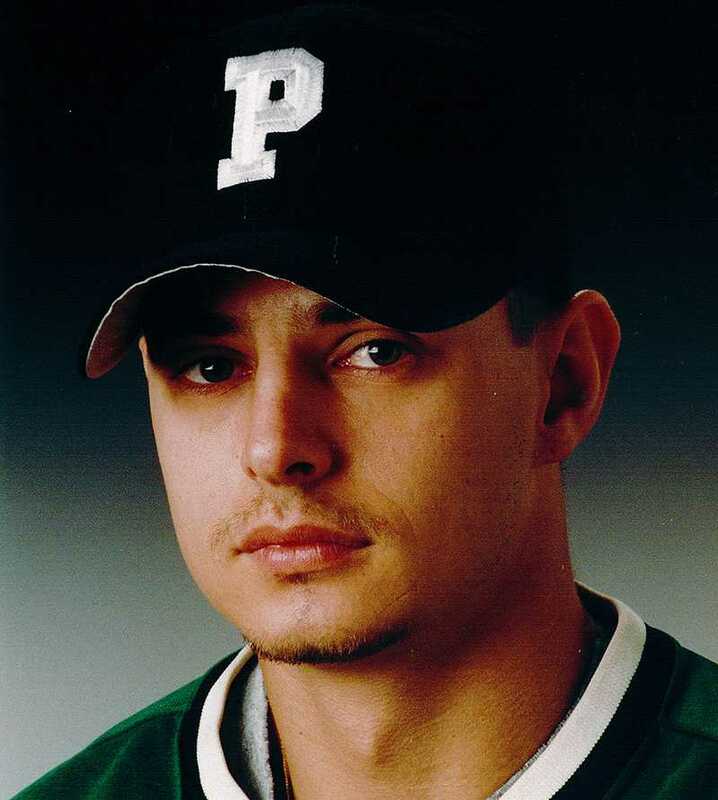 Former Point Park baseball player Rob Dinwoodie and softball player Lindsey Baranski will be inducted into the Pioneer Athletic Hall of Fame on Oct. 1 in Lawrence Hall on campus. The Pioneer Athletic Hall of Fame selection committee — which includes Swalga, Point Park Director of Athletic Communications Kevin Taylor and current Point Park softball head coach Michelle Coultas among others — narrowed this year’s inductees to Baranski and Dinwoodie. “This is a special honor,” Swalga said of the Pioneer Athletic Hall of Fame. When Point Park was calling for Hall of Fame nominations, Coultas — who is heading into her 11th season as head softball coach at Point Park — nominated Baranski, who was known by her maiden name Pesanka during her tenure at Point Park. “’I think you’re very deserving, and there’s a chance you could get inducted,’” Baranski recalled what Coultas said to her. Baranski, whose tenure at Point Park last from 2008-2011, is considered Coultas’s first high-level recruit as the Point Park softball head coach. 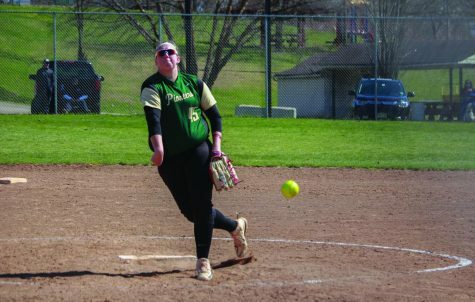 The current Point Park softball team is a consistent conference contender, and it is on an eight-year streak of winning records. 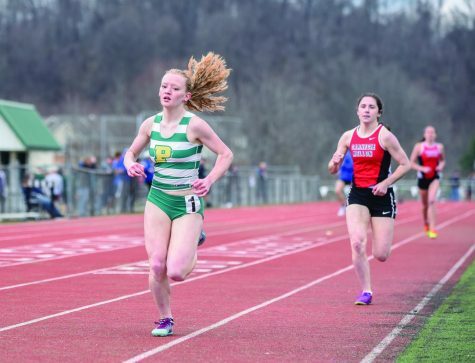 Before Baranski arrived at Point Park, the softball program was in a lull. From 2005-07, the softball team did not accrue more than eight wins in a single season. In Baranski’s freshman year, which was 2008, she became a team captain and the Pioneers improved to a 17-20 record. Moreover, Baranski hit .304 and won American Mideast Conference Freshman of the Year. 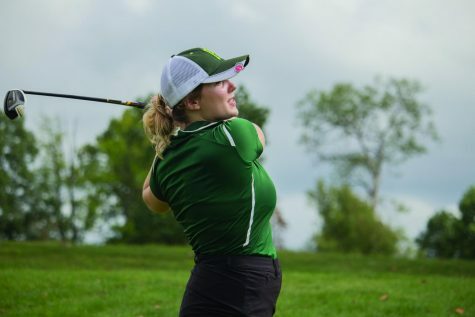 Baranski referred to her freshman year as “stressful.” She was thrusted into a leadership position as a team captain, which was a daunting task for Baranski. 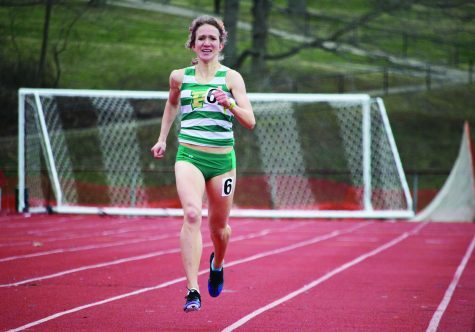 At the end of the 2008 season, after Coultas informed her via phone call that she had won the freshman of the year award, Baranski broke into tears. 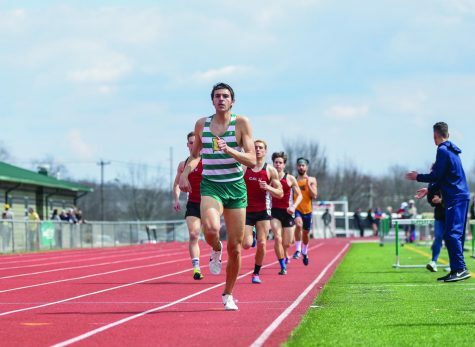 “It made me feel like everything I did up until that moment was worth all the hard work,” Baranski said. During the following three years, Baranski helped the Pioneers acquire winning records in each of those seasons. 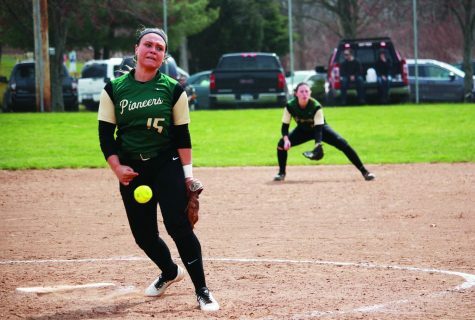 Baranski is credited with being a huge key to Point Park softball’s transformation into a conference contender. “There were a lot of women on my team who were out to prove something, and I was one of them,” Baranski said. Baranski garnered an impressive .945 fielding percentage during her Point Park career. The Baldwin High School alum credits her great defensive play to her high school program. Baranski is astonished that her work as a softball player provides her with self-pride. While in attendance at the Canadian Open PGA golf tournament this past July, Dinwoodie received a call from Taylor, Swalga and the rest of selection committee, who informed him that he will be a part of the 2016 Pioneer Athletic Hall of Fame class. However, Dinwoodie had to restrain his excitement, as he could not celebrate loudly while the PGA players were golfing. “It was hard to stay quiet,” Dinwoodie said. 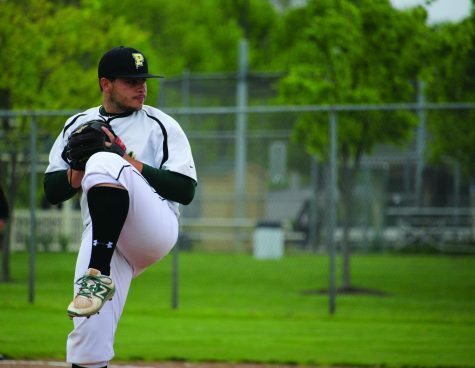 Dinwoodie chose to attend Point Park because it is close to his home in Toronto, Canada, and his friend and Point Park baseball player at the time Mike Murphy convinced him that he would be a good fit for the Pioneers. Dinwoodie’s Pioneer baseball career began in 1997 and ended in 2000, during which his average was .370, and he helped the Pioneers to the 1998 NAIA World Series. “Those were some very talented baseball teams,” Taylor said about the late 1990s Point Park baseball teams of which Dinwoodie was a part. Dinwoodie thoroughly enjoyed playing on those winning teams of the late 90s, as he mainly played on losing teams before he arrived at Point Park. Dinwoodie’s teammates Mike Smith, along with two of his fellow infielders Don Kelly and Ryan Ellis are already in the Pioneer Athletic Hall of Fame. “Dinwoodie was right there with them in terms of what kind of player he was,” Taylor said. “If you look at the stats in terms of career numbers, Dinwoodie is leading or highly ranked in a lot Point Park baseball categories. When Dinwoodie became one of the selection committee’s finalists for induction, Taylor told Kelly, who currently plays for the MLB team Miami Marlins’ Triple-A affiliate New Orleans Zephyrs, said he viewed it as a “well-deserved” nomination. “‘He was just as good as we we were,’” Taylor said what Kelly expressed to him. During the 1998 NAIA World Series appearance season, Dinwoodie hit 21 doubles, which was a single-season school record for 14 years, until Lee Bodnar broke it in 2012 with 23 doubles. Dinwoodie attributes his hitting success from that season to hitting coach Al Liberi, who was in his first year with the team in 1998. When Liberi saw Dinwoodie bat for the first time, he was unimpressed. “‘Man, we got a lot of work to do with you,” Dinwoodie recalled what Liberi said to him. Liberi’s reaction surprised Dinwoodie, as he had just come off a 78-hit freshman year. Nevertheless, Dinwoodie accepted the challenge and strove to improve his performance at the plate. “I was always one willing to improve myself,” Dinwoodie said. In addition, Dinwoodie said Liberi also helped him develop into a better power hitter, which is why he hit a career-high 11 home runs in 1999. 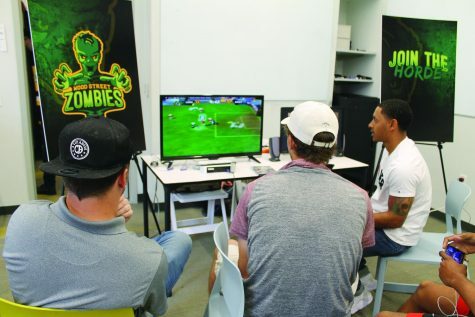 Prior to the outset of the 1998 season, Mark Jackson — who had just started his second stint as Point Park head baseball coach, had his players create team goals for the impending season. “I think [creating season goals]w helped steer us toward the NAIA World Series,” Dinwoodie said of the team-building exercise. Dinwoodie also remembers Jackson telling the team that if they accomplished something special, they would remember their teammates for the rest of their lives. While the Pioneers were eliminated early in the 1998 NAIA World Series, Dinwoodie does consider it a success. And he does remember all of his teammates. Despite a broken hand shortening his senior year to 11 games, Dinwoodie is in the top five of several Point Park baseball career stat categories. His 209 hits are third all-time at Point Park, the 198 runs he scored are second all-time, his 25 home runs are third all-time, and the 46 doubles he racked up are fourth all-time. 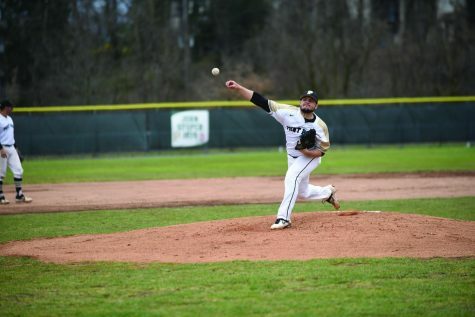 “If he were able to play a whole [senior] year, he would be leading in every [Point Park baseball stat category] probably,” Taylor said. It is shocking to Dinwoodie that some of his career numbers still rank highly at Point Park, and he views it as payoff for all of his practicing. Dinwoodie believes his upcoming Pioneer Athletic Hall of Fame induction is the zenith of his baseball career. “It’s the pinnacle for me, and I’m really proud of it,” Dinwoodie said.